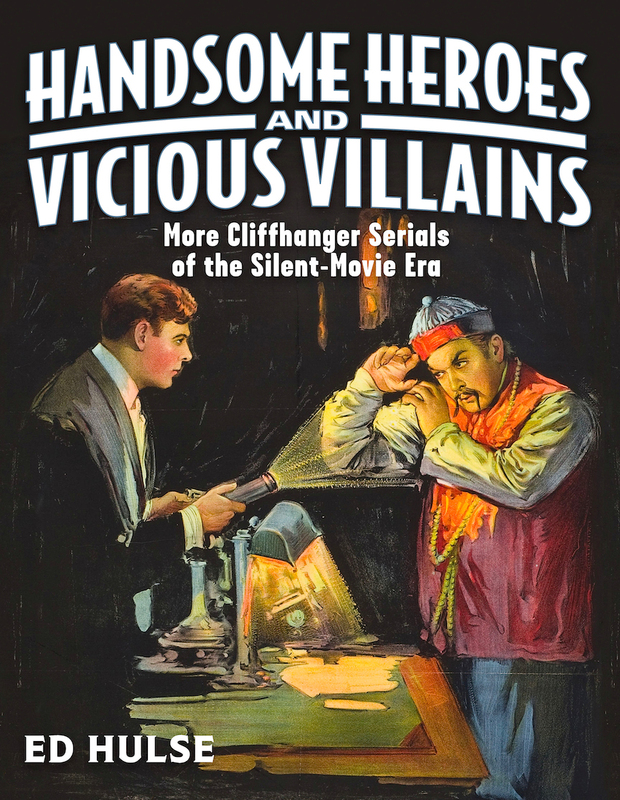 This companion volume to Distressed Damsels and Masked Marauders continues Ed Hulse’s groundbreaking history of American cliffhanger serials of the silent-movie era. It covers some 190 “chapter plays” released by production and distribution entities such as Universal, Vitagraph, Mutual, Arrow, Rayart, and Mascot, along with member companies of the Edison Trust and various fly-by-night independent operators. Among the legendary serial stars whose output is documented and analyzed are Francis Ford and Grace Cunard, Ben Wilson and Neva Gerber, Helen Holmes, Eddie Polo, Marie Walcamp, William Desmond, William Duncan, Eileen Sedgwick, Joe Bonomo, Elmo Lincoln, Ann Little, Jack Daugherty, Juanita Hansen, and Louise Lorraine. Serials that starred favorites from the sports and theatrical worlds — Harry Houdini, Billie Burke, “Gentleman Jim” Corbett, Benny Leonard, and Maurice “Lefty” Flynn, to name a few — are also covered. 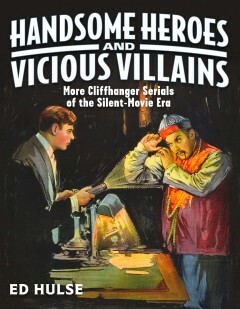 At a length of nearly 160,000 words, illustrated with hundreds of rare stills, posters, lobby cards, magazine ads and even frame blowups from surviving film elements, Handsome Heroes and Vicious Villains is the last word on this fascinating segment of American movie history. The product of a quarter century’s research, it equals if not surpasses the award-nominated Distressed Damsels and Masked Marauders. PURCHASE PRICE INCLUDES SHIPPING AND HANDLING TO DOMESTIC BUYERS. INTERNATIONAL BUYERS MUST INQUIRE FOR SHIPPING RATES BEFORE PLACING ORDERS. Copyright © 2015 Murania Press. Site design by Chris Kalb. All pulp images on the site are the © copyright of their respective owners.